This topic contains 40 replies, has 23 voices, and was last updated by kyle martin 2 years, 6 months ago. us navy With missions ranging from combat to peacekeeping to humanitarian assistance, today’s Navy must be more flexible, mobile, lethal, and efficient than ever before. Booz Allen’s strategy and technology solutions help Navy leaders address their most crucial operational and investment challenges. We assist Navy organizations from the Office of the Secretary of the Navy and Chief of Naval Operations to the Navy operating commands and systems commands. Just saw this one, so I may be a bit late. My dad used to commission the reactors for nuclear subs in the UK. They would sometimes take the subs into the Scottish loch’s for trials. Officaiely rail guns to be publicly used has been pushed back about five years I think. But that does not mean rail guns are not being used now. If you look into the work of Gabriel Khron’s work with creating the first industrial use of negative resisters for the Navy and GM, power sources for rail guns are a reality. The work Khron had done was proven back in the 1930’s-1940’s. Nuclear power plants are no longer required for fast recharging power sources for weapons systems…of course I am bias when it comes to Rail Guns. I served on board the USS Theodore Roosevelt CVN-71 right after it was commissioned. The ship had just undergone Sea Trials and I was onboard during Shock Trials. Sea Trials would have the ship’s full contingent of men on board along with civilian engineers as did Shock Trials. The crew itself would consist of seasoned vets along with any new crew assigned to the ship, but no cadets of any kind. At least from my experience. Cadets only came on board during the summer as a type of internship. As you can see in the picture, no aircraft were on board at the time. We were in full battle stations during each shot. This means we were in condition Zebra. Condition Zebra means every door, or “hatch” if you will, is to be shut and locked down. The idea being if the hull is breached for any reason the water would only be able to fill up the compartments immediately exposed to the breach as all X-Ray, Yoke, and Zebra doors are water tight when closed. If I remember correctly, the shots were done over about a 6 week period with about 2 weeks in between each shot for the engineers to study the data they gathered. I also remember Jean Dixon predicting the TR would break apart on the third shot and sink. You know what might be cool for your book though would be to arm the USS Freedom with what the US Navy is really wanting to put on their ships – Rail Guns. 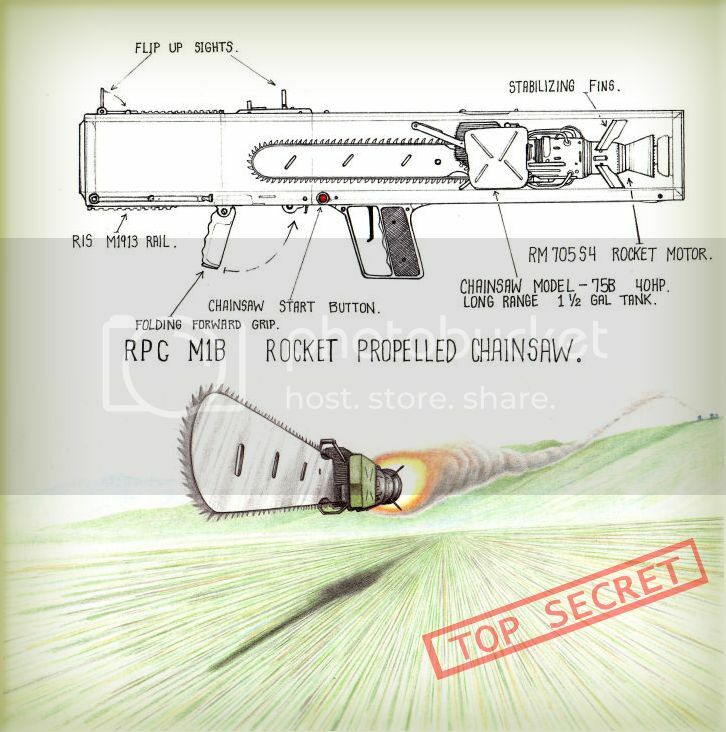 See the article here: http://www.foxnews.com/scitech/2010/12/10/navy-railgun-shoots-bullets-electromagnet/ Heck, if you’re going to take down some unknown biological freak of nature, you might as well blow it up real good!! out to her come from the American side, but geographically the island is closest to Canada. take place in the Upper Peninsula? reason for a strong milatary presence in the Great Lake region after the demise of DEEEEETROIT. So I don’t think there would be any kind of conflict for a “special” navy vessel to be on the waters of the lakes. You got my vote, and I can’t wait to read Decendant. More please…. i wouldn’t worry about plausability. So when a 1 in a billion event happens there is going to be a prototype warship just around the corner? I love Scotts writing and would never question his knowledge and experience in writing a book but doesn’t that seem overly convenient? Like I said at the start sorry if I offend by questioning this little plot point, but it reminds me of a Crichton scenario. Neverless, I cant wait to read it! Here is a link to a CBC story that should help you FDO. does anyone know how fast and how much weight one of the USCgaurd helicopters can fly with? Well I have a cousin currently serving in the navy, a friend in both the Airforce and Army, and another cousin in the Marines. So if you have any other questions, I should be able to relay them to the proper authorities. That was some excellent information! S.H.I.T. Award Recipient and all-around uberjunkie! The Reason the Freedom fits Scott’s premise is that the Freedom was built in Milwaukee and the commissioning ceremony was on lake Michigan. All the FDO has to do is time the story so that the need arises prior to her out chop to San Diego. All the armament can be flown in within 24 hours, and the commissioning crew can be augmented by instructors at NTC. I have done crew augment while on shore duty. Happens all the time. An angle to use for why there is a the type of ship you want in the Great Lakes could be border security. It could be a basis for why they would use the Great Lake as a trianing ground a newer, sleeker type ship that could be used in the area to respond to any plausible terrorist threat. Just an idea. Looked up the specs on the USS Freedom and she is 57.4 ft wide – vs 120 smallest width of the Erie canal. But closer yet, the canal is on 12-14 feet deep at spots and Freedom has a draft of 12.1 feet. She might shave the bottom some. This means nothing larger than Freedon could be brought into the lake! The only other possiblity would be USCG cutters. Core crew up to 50. “Sea trials” would actually have not only real crew, but test engineers for the builder aboard. Blue and Gold mission crews. Hm, doesn’t sound like much from the NTC would be used. Sea trials would not have any bullets – but some one could fly in the shells for the 57mm cannons, but no torpedoes. It would take too long to load them. After commisioning (Which was this past Nov), she would probably be sailed to where she would pick up her torpedoes, then to where she was going to be used. At 45 knots, she could get back from VA to the Great lakes in 24 hours? The determining factor would be canal transit time. Proud member of DOMREC, X-ray company. When I was last at NTC in Illinois, there was a pair of PT boats stationed within walking (marching) distance of NTC. I know, because we marched over there. (197?) Typical crew on such a boat (A boat is small enough to be carried aboard a ship, except that all submarines are boats no matter what!) would only be a handful of Sailors. As for your warship in the great lakes, I don’t know of any ship builders in Milwalkee. Most ships are built either in CA or at Newport News in VA. Many subamarines at built in CT, near Groton. (Note, the original Nautilus is berthed at Groton as part of the mueseum). Length of warship that could get into the lake is limited by the locks in the Erie canal and NO ship would be built in the lake region that could not transit out! This is why US Aircraft carriers (and their associated battle groups) can not go thru the Panama canal – they are too big! This puts a practical upper limit on the size of your warship. I’ll try to find the size of the canal to figure this out. Also, note that the men assigned to the ship before sea trials are collectively known as “plank owners” and may have actually been present thru much of construction. It seemed like every time I turned around there were people from all branches. In the 1980’s I served in units that i would forget their rank and branch of service. I was part of both Panama and Granada. It was a scramble between the branches to paticipate in the fight. More recently The Navy and Marines relieved me in Falluja, Iraq. The Army does have ships but not the kind that would be considered as a ‘War Ship’. Nevertheless, very armed. I enlisted in 1976 and retired in 2006. I attended the Combat Diver’s Course (JFK Special Warfare School) in 1980 with mostly navy people that were not aware that I was Army. I have a question. Does anyone know if Lighthouses have been converted to radio/microwave/data rely stations? Does the USCG have automated buoys that rely calls? Sensor nets? Question 1: Normally a Naval vessel, at the non-deployed sea trial stage would not be armed (guns and launchers are there but on bullets). This however is not a big problem. Freedom’s armaments are not huge items, they could be flown in and loaded up within 24 hours. The Freedoms armaments consists of RAM missiles, which are strictly Surface to Air, not Surface to Surface (but you might need these); and a 57mm gun. An interesting option however is the Non Line of Site Precision Attach Munitions, which can be used against both seaborne and land based surface targets (e.g you can take out a few Decedents on the ground with these bad boys). The NoLS PAM is a portable system (can be installed in a pickup truck) not a permanent install. Because it is a portable system, you will not see it on the Navy’s official Freedom armament listing, but the Freedom’s Concept of Operations (CONOPS) includes this system and she was built with this in mind. Now here is the kicker – Freedom can host 2 MH60 helicopters. The armament configurations available to your premise here is almost unlimited, and of course they can be flown in quickly. Question 2: When you consider that the Littoral combat ship (LCS-1) USS Freedom was built and commissioned (November 8, 2008) in Milwaukee, it would not be far fetched in a national emergency to use an asset that is in place and more capable than the other assets in the area (e.g. CG Cutters). Question 3: "Would USCG cutters be the first to respond?" is an interesting question. Though we do have CG presence on the lakes, these are mostly search and rescue, ice breakers, and buoy tenders; which for the most part are unarmed. The armed cutters are out in the blue water. Here you can find a list of the Cutters in the Ninth CG District with encompasses the Great Lakes: http://www.uscg.mil/d9/D9Units.asp. So really the armed CG Cutter would be a bad premise. However, if you need something big enough to carry some troops – an Icebreaker supporting the operation is an option; and if your operation is in the winter, you may need it. Comments on the crew: If Freedom is at the sea trials stage, she is probably already crewed up, but if there is an emergent need to fill a couple of billets – let’s say that they are short one or two Gunner’s Mate or Fire control Technician’s (FTGs) because it was not assumed she would need these until she did her weapons certification off of San Diego, then we would need to fill those billets fast. Your in luck – GM and FTG schools are at NSTC Great Lakes. Also consider this – You would want Marines, but there are not a whole lot of Marines in that area. A quick option – The Navy’s small boat squadrons have been very active in the Iraq war. Before deploying to Iraq, these Sailors do receive extensive combat training. Many of them have now done one or two tours in Iraq, and I would bet that some of them are now doing shore tours at NSTC Great Lakes as Instructors or even Recruit Company Commanders. In summary, your premises and assumptions can work as long as you deal with the logistics of bring in the things you need that normally would not have been there. If i may, what are they called, do they ave special training and from where? Special badges? Age restrictions/family restrictions? What about the US Army? They have a medical corps with a top secret division that specializes in biochemicals as well as other experiments? Plus, they also have ships. They even have their own fixed wing planes. You could have a warship on the Great Lakes for sea trials. It would be too far-fetched to fill out the crew with kids from the NSTC? Say there is a skeleton crew for sea trials, and they need bodies on the ship in a matter of hours. Would they get those bodies from NSTC, from elsewhere, or just go with what they’ve got? How armed would this ship be? There has to be some live ammo aboard, right? Could we expect a full test, with dummy ships and oprational armament to text weapon fire and targeting? I’m assuming that if there is a ship on the Great Lakes, it would be the first responder to a bioterror threat on an island in the Great Lakes. If the mission is to stop anything from getting off the island and back to the mainland, it makes sense to send a test warship, yes? If it does not make sense, would USCG cutters be the first to respond? The government is responding to an unknown biological threat. They have to assume they are possibly writing off whoever they send. Who’s better for fast-response land/sea operations? USGC or Navy? This will also be kept top-secret (to avoid public panic, of course!). That has to impact what forces are called upon to make sure no one gets out. That’s why I’m thinking a Navy warship is better than a USCG cutter. I like the send the Marines part. Makes a whole lot more sense to have someone else do the gun fighting for you. Of course submarine rules were a bit different – Shoot and Scoot. If they don’t know where you are they can’t shoot back. The Navy does not generally have combat ships in the Great Lakes, and hasn’t really used the Great Lakes for training since WWII. Occasionally the Navy will bring a warship in to the lakes for a PR tour. Seeing as how the USS Freedom was built in Milwaukee however, your premise is not far fetched. You would not man the ship from NSTC Great Lakes. This is a training command housing mostly service schools (the very first schools a new Sailor attends). Outside of the instructors and support personnel at NSTC, the Sailors at this base a very junior. Most of them are not old enough to buy a beer and they are not even allowed to cus in front of senior Petty Officers yet. As a Sailor I would notice some inconsistencies in your premise, but it would not be a big deal, and no place close to the HUGE liberties Tom Clancy took. Hunt for RO was absolute BS, but we loved the story. Crews are always billeted by a detailer in Washington DC, and the detailers bring in the necessary people based on needed rank and skills, not geographic location. So your crew members are going to come to the ship from all over the world. A ship is normally fully crewed long before sea trials begin. Much of the crew is attached to the ship during most of the construction. As a Sailor I would notice some inconsistencies in your premise but it would not be a big deal, and no place close to the HUGE liberties Tom Clancy took. Hunt for RO was absolute BS, but we loved the story. ahh ok. I guess I need to learn how to control my Feelers then. *maybe i can learn to use my Feelers and do something positive with them. * What are Feelers again? I didn’t realize lil ole me could hurt your masculine feelers like that. I was Air Force. We’re the only service smart enough to keep our valuable enlisted members safe at home and send our officers off to die. but it’s some damned strong coffee!!! I thought there was some sort of treaty dating back to the war of 1812 that war ships were nto allowed on the Great Lakes. but if you have this gun mounted anywhere, the enemy is fucked. with a chainsaw. oh what they hell, why not? I’m from Minnesota and I’m Air Force too (well, I was back when Snoopy was still a Flying Ace). Navy? What is the Navy going to be able to do? Have you ever seen the Military Rules for a Firefight? Only hits count. A close miss is still a miss. If your shooting stance is good, you’re probably not moving fast enough nor using cover correctly. In ten years nobody will remember the details of caliber, stance, or tactics. They will only remember who lived. Use a gun that works EVERY TIME. Always cheat = always win. The only unfair fight is the one you lose. Have a back-up plan, because the first one won’t work. Use cover and concealment as much as possible. Always tactically reload and threat scan 360 degrees. The faster you finish the fight, the less shot up you will get. Do not attend a gunfight with a handgun, the caliber of which does not start with a "4". Alright, Junkies — who’s served in the Navy? And the Coast Guard? I’m working on the prologue for DESCENDANT (sequel to ANCESTOR) and I need some info. The littoral combat ship USS Freedom conducted sea trials on the Great Lakes before shipping off to San Diego. Does anyone know if this is a common practice? How feasible is it for me to put a prototype warship in the Great Lakes? Also, what kind of crew could I expect? A seasoned crew of Navy vets, or a crew of vets with civilian engineers, and training cadets from the Naval Service Training Command? The premise here is a fast US Government response to the biohazard shout-out from Jian that happened in ANCESTOR. DESCENDANT will, literally, pick up right where ANCESTOR left off. I’m trying to guage what the response would be, and estimate the government’s isolation factor while they sort out fact from fiction.